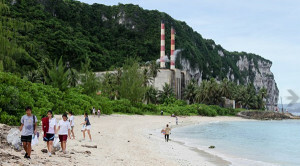 Like any “paradise,” the island of Guam needs maintenance to retain its natural beauty. 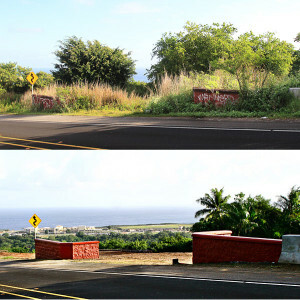 Launched in February 2011, the Islandwide Beautification Task Force, lead by Lt. Gov. Ray Tenorio, seeks to enhance and restore the beauty of Guam as well as improve public awareness and civic pride, promote involvement and coordination of services, in the pursuit of further beautification of the scenic and historic sites of Guam. The Task Force will endeavor to engage residents in beautification projects and clean-up activities to benefit our Island community. Created by public law 23-19 more than a decade ago, the Islandwide Beautification Task Force has been a community-wide initiative that has seen varying levels of success throughout the years. Lt. Gov. Tenorio has a vision to take the Task Force to new levels; one that will reinvigorate a sense of pride in our island through creating an environmentally conscious community; and one that will resonate the uniqueness of Guam, her culture, her heritage and her people. The Task Force is a multi-fold mission that will encompass initiatives, strategies and products that will work in tandem to establish greater community participation in environmental protection and cultural preservation activities. The Task Force works in conjunction with the Mayors’ Council and existing government agencies and private individuals and organizations to beautify and promote Guam. Its function shall include, but not be limited to, the coordination of efforts for the clearing of overgrown weeds or trees, the planting of plants or flowers, and the restoration of graffiti inflicted structures along the island’s highways and scenic areas. The Task Force has made a goal to purchase only horticultural products grown on Guam. The Lt. Governor’s office encourages all Guam residents to participate. Its “Blueprint for Service” gets high school seniors involved with community service. There are three components to this project. First, participating classes must clean and maintain their school’s campus. Second, they must reach out to the community and adopt an area to do the same. Third, they must come up with a video documentary to showcase their progress, testimonials and end results. The “Blueprint for Partnership” involves nonprofit organizations, non-government entities, and private companies to come up with resourceful or enterprising ways to revitalize a designated area in the community. For example, an organization can adopt a highway, park or beach. They are responsible for maintaining the area’s cleanliness and should find ways to attract residents and visitors to that area. This could be an effort to promote Guam’s overlooked sites or areas by instilling a sense of pride and appreciation in them. The “Blueprint for Leadership” is a project that will incorporate our Government of Guam agencies to set the standard for cleanliness. The Task Force has worked to clean up Guam’s beaches, recreation areas, and even the Yigo Senior Citizen’s Center and Astumbo Outdoor Basketball Court. For more information or to get involved, visit the Islandwide Beautification Task Force website.